We made these fun earrings for a client who wanted to match their engagement ring. 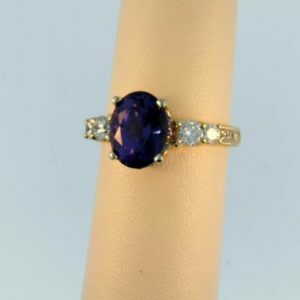 The ring featured an exceptionally rare Padparadscha Sapphire (a mix of pink and orange) so we set out to find a match. After having searched all over the Las Vegas Gem Show we were just about to give up when we found this pair. While not orange enough to call them Padparadscha, these a close match to the ring nonetheless. 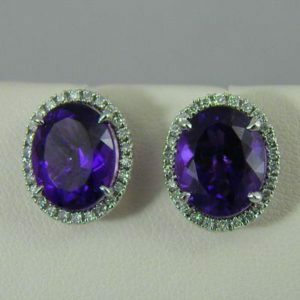 The stones are silhouetted with diamonds and dangle from French earwires to maximize their sparkle. 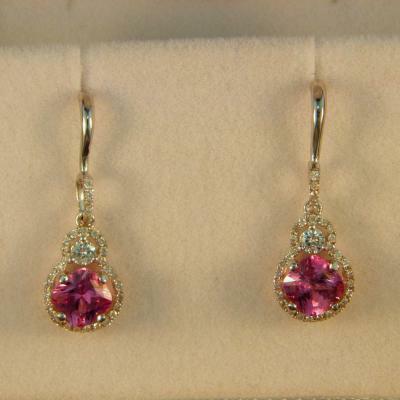 Details: 18k white gold earrings with 2.02cttw cushion pink Sapphires from Sri Lanka and .84cttw diamonds (VS GH).